We so excited to introduce another awesome fonts bundle by our friends at Pixelo: The Fontabulous Font Bundle. This bundle contains an extensive collection of high-quality and beautiful fonts, varying from hand drawn, display, and script. Whether you’re working on branding, advertisement, t-shirt design, you name it; this font bundle has you covered. 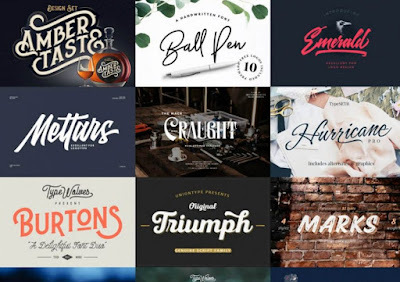 You will get 26 wondrous fonts to help boost your design to the next levels. Some fonts come up with a bunch of alternate characters to play with, and some others come up with family and styles which make total 120 individual fonts included in this bundle. The Fontabulous Font Bundle is worth $2760 at the regular price, but for a limited time, you can have it for only $29, saving you a massive 99% , only at Pixelo. This is an overview of all fonts included in this bundle. Check out The Fontabulous Font Bundle to see more detail previews and features.